Arandal (S. “Kingsfoot”) is one of the noble houses in Ithilien. They are counted among the Exalted, being one of the 50 Faithful families who escaped the destruction of Númenor. According to family legend, founder of the House was a spear-bearer and stable-boy of Isildur. House Arandal has its large estates in Nindalf, the great marshland region beneath the Emyn Muil. The family maintains a lookout on Amon Lhaw and controls all trade on Anduin between Rauros and Ethir Onodló. The family home, Dallarandil manor, is located on the north bank of Anduin, near the fields of Cormallen in North Ithilien. The House of Arandal is also known as one of the few trading enterprises willing to risk the treacherous passes to the Tower of Cirith Ungol and Durthang. They have a royal monopoly on supplies to Gondor's military outposts in Mordor. The House has suffered financially with the recent withdrawal of most of Gondor's troops from that region, but the current head of the family, Orvellon, was careful to diversify the family interests before the Great Plague. 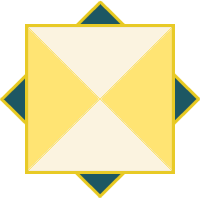 House Arandal is a major benefactor in cloth production, stone quarrying, and interprovincial grain trade. They are close allies with House Caranthan. House members in the Govadan Gondorim: Orvellon Arandal and Dorant Arandal.